If you’re in a position to put some money away for your childrens’ future college costs, a 529 plan is typically the most popular home for your savings. There are some tax advantages, you could get a deduction on your state’s income taxes, and heck, the accounts were created for college savings. But the knock on 529 plans is that they can be inflexible. Take money out for anything other than qualified educational expenses and you’re probably looking at a 10% penalty on the account’s earnings. As an alternative, some people prefer to use a Roth IRA for college savings instead. You get great tax benefits, and many people don’t realize that you can withdraw funds before retirement age penalty free if they’re used for qualified educational expenses. So given the limitations of 529 plans, are Roth IRAs really a superior vehicle for college savings? As you may know, Roth IRAs are designed as personal retirement accounts. If you have earned income you can contribute up to $5,500 per year ($6,500 if you’re 50 or older) after tax. The funds grow tax free while they’re in the account, and they’re not counted as income when you withdraw funds later on. And as an additional bonus, they’re not subject to the required minimum distributions that traditional IRAs are. Roth IRAs have another unique tax treatment, too. Withdrawals are always considered return of capital first, and earnings second. That means if you have a Roth IRA worth $30,000, after making $20,000 in contributions, you could take out up to $20,000 tax free. This amount would all be considered contribution, which you can withdraw from a Roth IRA whenever you want, free of penalty. Any additional withdrawals would be considered earnings, and potentially taxable & subject to the 10% early withdrawal penalty. Note, though, that withdrawing earnings from your Roth IRA for qualified educational expenses won’t incur the 10% penalty. And if you’ve held the account for five years or longer they won’t be taxable as income, either. For that reason, Roth IRAs could be a nifty way to save for your kids’ college costs. Because if they don’t end up going to college, you can use the funds yourself for whatever you want. The main argument for using a Roth IRA for college savings is that they’re more flexible than a traditional 529 plan. 529 plans have tax advantages and higher contribution limits, but can leave you stuck if your child doesn’t end up attending college. Money that you contribute to a 529 plan goes in after tax at the federal level, just like a Roth IRA. Some states will give you a deduction, though. You can invest your contributions, and if you withdraw the funds for “qualified educational purposes” later on everything comes out tax free. But what if your child doesn’t end up going to college? Everyone has grand aspirations for their kids while they’re little. But what if college just isn’t in the cards? If you’d diligently put money away in a 529 plan over the years, you could be facing a penalty. Any withdrawals you take from a 529 plan that aren’t considered a qualified educational expense are subject to a 10% penalty on earnings. Plus income tax. Additionally, unlike a Roth IRA your withdrawals from a 529 account are split pro-rata between contributions and earnings. That means if you contributed $10,000 ten years ago and the account is now worth $20,000, each withdrawal will be considered 50% earnings and 50% contribution. The earnings portion would be subject to tax, plus the penalty if it’s not for a qualified expense. There are also a few exceptions. If your child dies or becomes disabled, decides to attend a U.S. Military Academy, or receives a scholarship, the earnings portion of your withdrawals won’t be considered “qualified”, but are excluded from the 10% penalty. They’re still subject to income tax, though. How Do I Minimize the Penalty? So let’s say you’ve contributed diligently to a 529 Plan while your child was young. Now that they’re toward the end of their high school career, it’s becoming more likely they won’t attend college – and won’t qualify for one of the exceptions listed above. What do you do? Withdrawing from the 529 plan would incur a 10% penalty on the account’s earnings. There are a couple options here. First, remember that you can always change the beneficiary on the account if you choose. If you have another child who is planning to attend college, you could use the money for their education instead. You could also leave the funds in the account for now. If your son or daughter decides to attend college or grad school later on you can always use the money then. And alternately, you could hold the money in the account for future grandkids. Or enroll in a few classes and use the funds yourself. Like I mentioned above, the main argument for using a Roth IRA is flexibility. If there’s a strong chance your child won’t attend college, it doesn’t make much sense to park extra money in an account you’ll end up being penalized on. A Roth IRA lets you use the funds for whatever you want – and take advantage of some pretty killer tax savings. Plus, assets in your Roth IRA won’t be counted on the FAFSA form if/when your child applies for financial aid. The FAFSA form asks for your income and assets (as well as your child’s) to calculate an “Expected Family Contribution” or EFC. This is the amount that the government and financial aid officers expect you to be able to contribute to your child’s education. EFC is important. If the cost to attend your kid’s chosen school is $40,000, the school’s financial aid office will attempt to put together an aid package based on your EFC. So if (based on the FAFSA form) your EFC is $15,000, the office will cobble together grants, loans, and work/study options to provide $25,000 in financial aid. Money you put into a Roth IRA isn’t included on the FAFSA form. 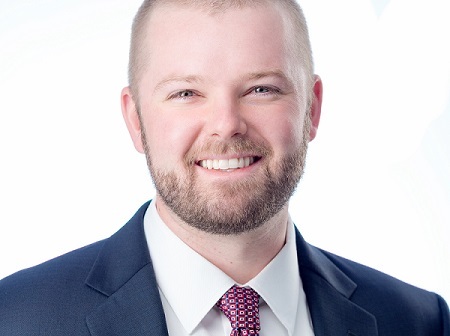 Assets in a 529 plan are. This is good, since it reduces your assets listed on the FAFSA form & reduces your EFC. In others words, fewer assets on the FAFSA = greater chance for financial aid. Even though assets parked in a Roth IRA won’t show up on your kid’s FAFSA form, withdrawals to pay for college expenses will, as they’re considered income. That means that while the assets won’t be counted in year one, the income will when you file the form in subsequent years. And since income is counted more heavily than assets, it could work to your detriment down the road. Additionally, the limits on how much you can put into a Roth IRA are pretty low. You can only contribute $5,500 per year to an account ($6,500 if you’re 50 or older), assuming you have sufficient earned income. This limit is reduced if you make $118,000 per year as a single person ($186,000 if you’re married and file jointly), and you can’t contribute at all if your income is above $133,000 ($196,000 if married). (You could execute a “back door Roth conversion” strategy, though). And since the Roth IRA is such a great vehicle for saving for your own retirement, you’re probably better off using your annual contributions for yourself. If there’s a decent chance your kid will attend college, you’re better off with a 529 plan. The contributions and earnings will come out tax free. In a Roth IRA your contributions will come out tax free, but if you haven’t held the account for five years the earnings won’t. Are These Good Enough Reasons to Use a Roth IRA for College Savings? Plus, your kids will always be able to borrow to pay for college. If you run out of money at age 85, you won’t. I’m guessing that your kids would rather borrow a little more money for college tuition than have you depend on them when you’re older. All in all, a Roth IRA could be a good idea in extenuating circumstances. If you’re already on track for retirement and can contribute to a Roth IRA but aren’t, it could be worthwhile. Especially if you’re not sure you want to fully commit savings to your kids’ college costs. But in most cases, it’d be best to use Roth IRA contributions for yourself first. What do you think? 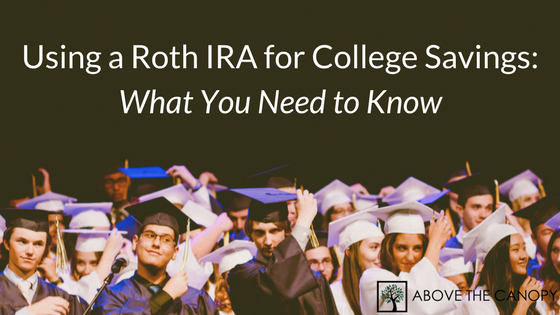 Have you ever used a Roth IRA for college savings? Do you think it’d ever be better than a 529 plan? Posted in Financial Planning, Paying for College, Student Loans and tagged can I use Roth IRA for college, roth IRA for college, roth IRA for college expenses, roth IRA for college savings, using a roth IRA for college savings, using roth IRA for college savings. 1 way i learned if you’re a small business owner (sole prop) is to put your kid (any age) on the payroll, and pay them up to the standard deduction. Thanks to Trump and conservatives that limit is now double to $12k. This means you’re paying your kid (under 18) fica free income, they (you) can invest it up to $5500 in a roth in their name (minor ROTH) and it grows tax free as well. Then they can pay for their own college with that money, and its entirely tax free. If you’re not a small business owner (sole prop), be one! real estate investing, janitorial, ops mgmt, anything. Your kid has to work too, of course… can’t pay them to eat cookies on the couch, but if they’re legitimately doing a task that benefits your business, here you go!